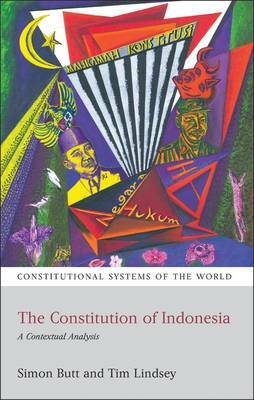 For decades, Indonesia's 1945 Constitution, the second shortest in the modern world, was used as an apologia by successive authoritarian regimes. A bare-bones text originally intended as a temporary measure, it did little beyond establish basic state organs, including a powerful presidency. It did not offer citizens real guarantees or protections. These weaknesses were ruthlessly exploited by the military-backed regime that President Soeharto headed from 1966 until his fall in 1998. The (first ever) amendments to the Constitution, which began the following year and were completed in 2002, changed all this. Enlarging and rethinking the Constitution, they ushered in a liberal democratic system based around human rights, an open society and separation of powers. These reforms also created a Constitutional Court that has provided Indonesia's first judicial forum for serious debate on the interpretation and application of the Constitution, as well as its first significant and easily-accessible body of detailed and reasoned judgments. Today, Indonesian constitutional law is rich, sophisticated and complex. This book surveys this remarkable constitutional transition, assessing the implementation of Indonesia's new constitutional model and identifying its weaknesses. After covering key institutions exercising executive, legislative and judicial powers, the book focuses on current constitutional debates, ranging from human rights to decentralisation, religious freedom and control of the economy.